The terms and conditions are legal. While there are many kinds of contracts, they all must contain these conditions in order to be legally enforceable. Hiring a business lawyer who specializes in contract law may be your key to getting the compensation you deserve. At the Gordon Law Firm, we do everything we can in order to work with you, understand your contract, your needs, any alleged breaches, and more so that we can better serve you and your case. Years of experience helping people just like you has led us to become the reliable and efficient business lawyers you’ve been searching for in order to provide you with trusted contract negotiation services, contract drafting services, and contract reviews. Contact us to learn more about contract law today. 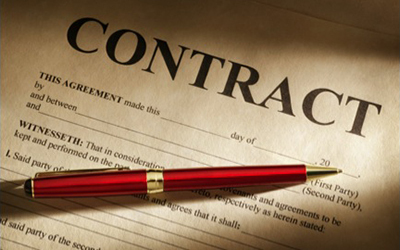 In business, you make contractual agreements almost daily. Make sure you have a lawyer who is experienced, passionate, and ready to help you make the most from your agreements while doing their best to secure you against any breach of contract or litigation.